One of my goals this holiday season with my husband having a few days off of work and my kids off from school, was to make some fun memories together. Things have been pretty hectic since Thanksgiving when we found out my mom had a cancerous tumor behind her eye that needed immediate treatment, with lots of doctors appointments, surgery and radiation. 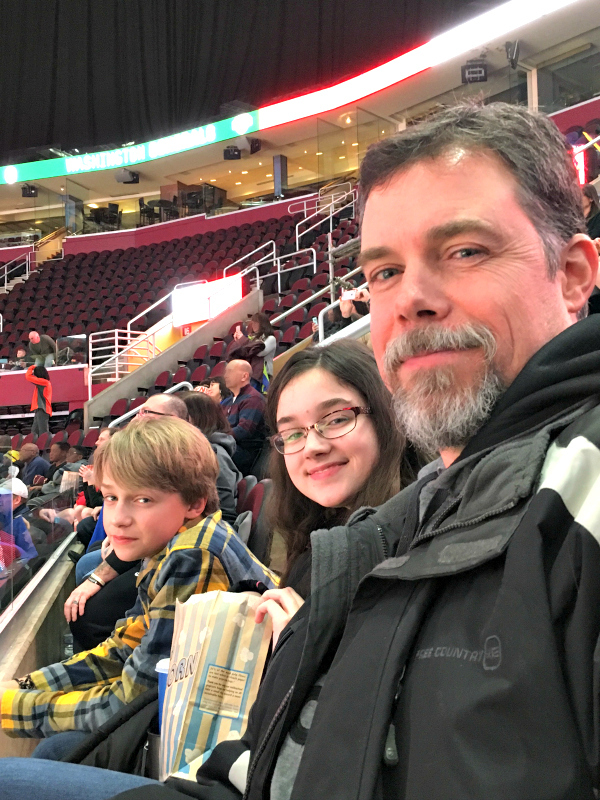 So when I was given four tickets for my family to go see the Harlem Globetrotters, I jumped on the chance for a fun family night! I remembered as a child seeing them perform, and knew it would be a memorable experience for my children to have also. Currently the Harlem Globetrotters are on a 2017-2018 World Tour with a star-studded roster featuring Big Easy Lofton, Ant Atkinson, Hi-Lite Bruton, Thunder Law, Bull Bullard and Cheese Chisholm – plus female stars TNT Lister, Ace Jackson and Hoops Green – the Harlem Globetrotters’ show is unrivaled in the world of family entertainment. Their 2018 World Tour showcases incredible ball handling wizardry, rim-rattling dunks, trick shots, hilarious comedy and unequaled fan interaction. We had great seats to catch all the antics and pranks the teams pulled on each other and even on the referees! 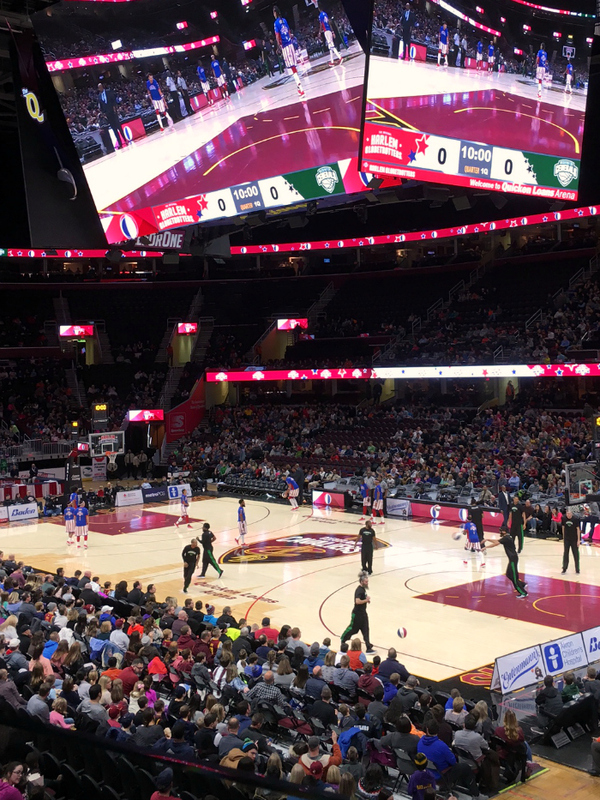 During the game between the Harlem Globetrotters and the Washington Generals, there were lots of hilarious interruptions for getting the crowd involved – adults and children alike. If you get a chance to take your family or friends, I think you’ll thoroughly enjoy the time. After the game, Globetrotter stars were available to sign autographs and take photos with fans. 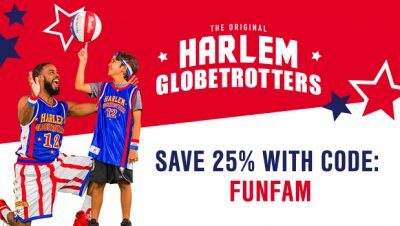 The Harlem Globetrotters are offering my readers 25% off tickets with the code FUNFAM, so be sure to check out when they are coming to a city near you!